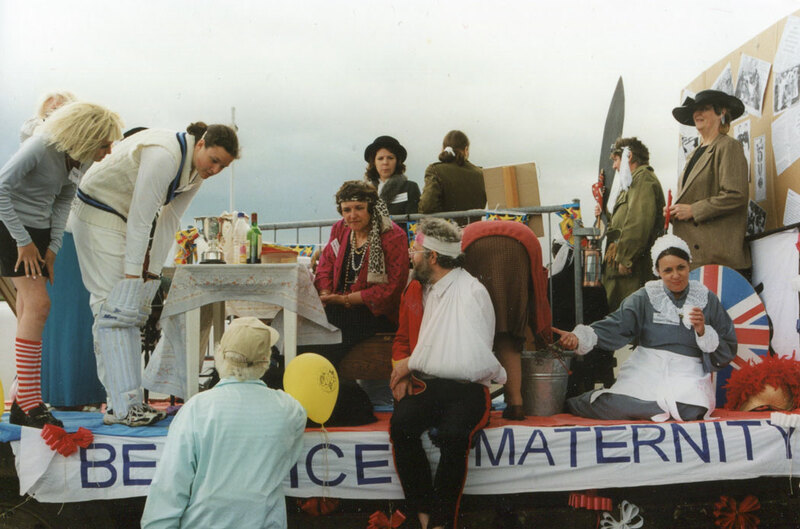 Beatrice (maternity) Ward staff certainly enjoyed the opportunity to take part in many of the Salisbury’s carnivals. 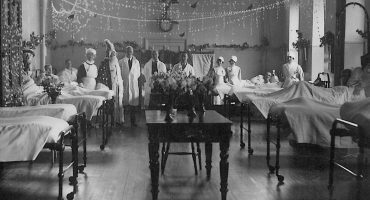 Pictured above and below is a black and white photograph held in our collection by F Futcher and Son of Fisherton Street, Salisbury. 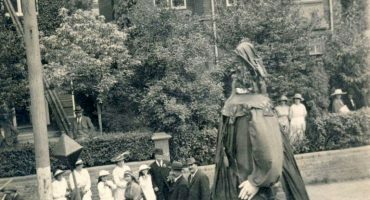 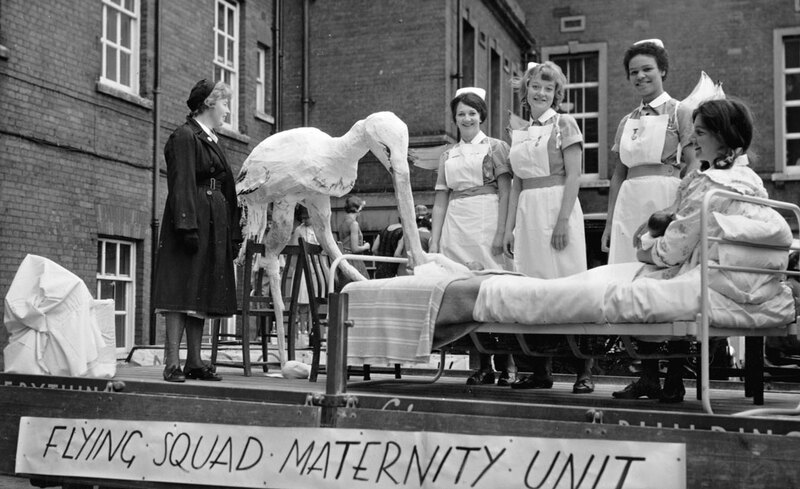 It is notated as, ‘The Flying Squad’ and from left to right, ‘Sheila Banfield, Kay Colbourne, Annette Highmore, Joy Green and Pat McCawley.’ The staff are pictured getting ready for the carnival procession and loading their display at the Salisbury Infirmary front courtyard. 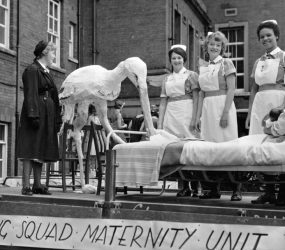 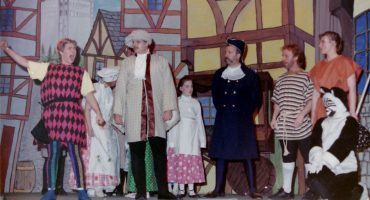 The Maternity Unit float, on the back of an open van, consists of a bedbound mother, nurses and a large papier-mache stork having landed with its load upon the bed. 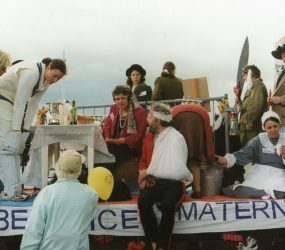 Many years later (circa late 1980s/early 1990s) the ward dressed for the carnival as famous women from history.